When a new technology emerges, humans respond in one of two ways: resist or embrace. Resistance came when Gutenberg launched his printing press in around 1436. Foreseeing a more empowered populous, the Roman Catholic Church investigated whether the invention could be licensed to control the inevitable expression which would be unleashed. 15th Century nobles refused to pollute their private libraries with printed volumes. Yet, within 30 years and despite this initial resistance, hundreds of European towns had a Gutenberg press and freer expression had secured a stronger footing. Resistance was futile. The population embraced the technology. Similar stories are found as advancements in communications arrived, from printing press to telegram to fax and to email. Today, those in the first decade of their employment use email out of necessity than preference. They see emails as dated, faxes as museum curiosities and telegrams as footnotes in antiquity. All of them were about sending messages. Social media feels more like visiting your friend or colleague on their virtual home turf. Social media is today’s Gutenberg press. Yet the same human urge to resist lingers. Never is this more evident than in Australian workplaces where employers grapple with technologically comfortable and networked employees. Corporations have come to be wary of a young buck with an iPhone and an Internet connection. They want to retain control over the public discourse about their products, services and reputation. No company wants to see their own staff defaming each other in social media. Nor do they relish a kind of virtual sexual harassment between employees over the Internet. Employers dislike that team members identify their company on social media, only to have recruiters poach them. Having your corporate reputation slammed by disgruntled former employees aided by the courage sitting behind a screen provides. Enthusiastic, otherwise top performers have inadvertently blogged competitive secrets. On social media, morale-damaging gossip can be found lurking in every dark corner. Resistance to social media is therefore understandable. Block Facebook. Eliminate Twitter. Tolerate LinkedIn. Strengthen employment agreements. Implement a No-Use Policy. However, despite all its difficulties, resistance is counter-productive and a waste of time. Social media is as mainstream a tool as the telephone. According to comScore’s latest study, 81.6% of Australian internet users are on social networking sites. This is a dramatic 26% increase in the 12 months since April 2010. Only search engines, like Google and Yahoo, enjoy greater participation at 89.9%. As if to prove the decline of email, 61.7% of internet users bother with email now. And which social media sites are in vogue? Australians spend 305 minutes per month on Facebook.com, 16 minutes on Twitter.com, 12 on LinkedIn.com, 12 on MySpace and 4 on Windows Live Profile. Social media is a Facebook phenomenon. So what can social media do for business? Well, for one thing, employees learn very quickly about accountability. They gain lessons far quicker than earlier generations that they are responsible for what they publish. In the digital age, everyone is a publisher. Further, recruitment becomes a far purer exercise. My businesses employ job titles not readily pigeon-holed in the drop-down menus of seek.com.au. Imagine our delight to discover highly concentrated online groups of these job titles, veritable bee-hives of activity and creativity. In my time as a proprietor, I’ve seen the decline of classifieds, the rise and decline of job ad websites, and the emergence of social media for recruitment purposes. Additionally, these social media sub-groups are mini-learning centres of excellence. One can easily gain insights into new industry developments. These are the office water-coolers and village squares of the digital age. 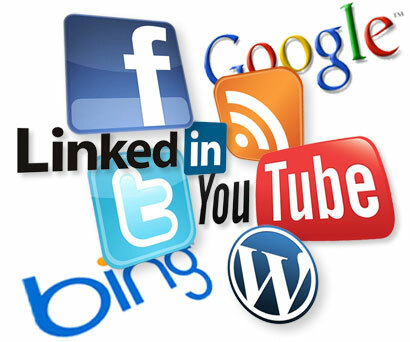 Social media is also a great source of competitive intelligence, marketing channels and lead generation. Like the Gutenberg press, telegrams, fax and email before it, embracing social media into your workplace will benefit you far more than any passing challenges.